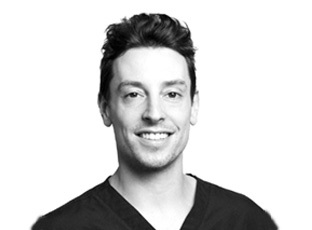 Dr. Ryan Neinstein is the founder of Neinstein Plastic Surgery, a state of the art facility combining the latest advances in minimally invasive liposuction and non-surgical aesthetic medicine. Dr. Neinstein focuses on minimally invasive liposuction. His unique combination of acoustic and laser energy pushes the envelope on body contouring procedures, while at the same time allows for virtually no scarring, no general anesthesia and only 48 hours of downtime. This method was designed for the demands of the busy New York lifestyle. Dr. Neinstein brings a unique and youthful approach to plastic surgery. He is dedicated to the overall health and wellness of his patients and believes plastic surgery should complement each patient’s lifestyle. He believes meditation before surgery improves concentration and critical thinking. This distinctive method has attracted a high caliber of clientele, which includes the likes of national television hosts and broadcast correspondents, fashion models, actors and even other dermatologists and plastic surgeons. Non-surgical face and body services and procedures offered at Neinstein Plastic Surgery include: BOTOX®, Xeomin®, Dysport®, Restylane®, JUVÉDERM®, microneedling, collagen induction therapy and medical-grade skincare products. Neinstein Plastic Surgery also offers patients the ultimate face and bodytightening solution, the Venus Legacy Laser. Combining all of these modalities allows Dr. Neinstein to comprehensively treat each patient’s unique needs. Dr. Neinstein hails from Canada and received his plastic surgery training at the esteemed University of Toronto Plastic and Reconstructive Surgery Program. After his surgical residency, Dr. Neinstein was selected to become one of only two fellows at the most prestigious aesthetic surgery facility in the world – the Manhattan Eye, Ear and Throat Hospital. There, Dr. Neinstein was trained in the most advanced aesthetic surgical techniques of the face, nose, breast and body – a skill set that he brings to each and every one of his patients. With a commitment to surgical education and a passion for pushing boundaries, Dr. Neinstein is actively involved in clinical research. He is frequently asked to lecture both nationally and internationally. He has authored two textbook chapters on liposuction, most recently this year, focusing on evolving concepts in techniques and technology for the expert liposuction surgeon. Dr. Neinstein lives in New York City and enjoys surfing, skiing and meditation.